Why is it hard for white people to talk about racism? We do not live in a color blind society. Racism is a very real issue. So why is it so hard for white people to talk about racism? Dr. Robin DiAngelo asks and provides answers to this question. She is a consultant and trainer on issues of racial and social justice. Robin received her PhD from the University of Washington in Seattle. Her area of research is in Whiteness Studies and Critical Discourse Analysis, explicating how Whiteness is reproduced in everyday discourse. She’s currently the Director of Equity for Senior Services, Seattle/King County. Dr. DiAngelo came up with the term white fragility, which she explains is a function of white privilege. 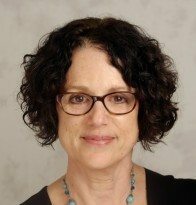 Dr. Robin DiAngelo will hold a workshop on Saturday, January 16 from 9 am – 1 pm at East Shore Unitarian Church in Bellevue.